I created this with three shades of ANNY’s newest collection. When I have the collection complete (three more to go) I’ll swatch them for you. I absolutely love this collection! It’s very summery! 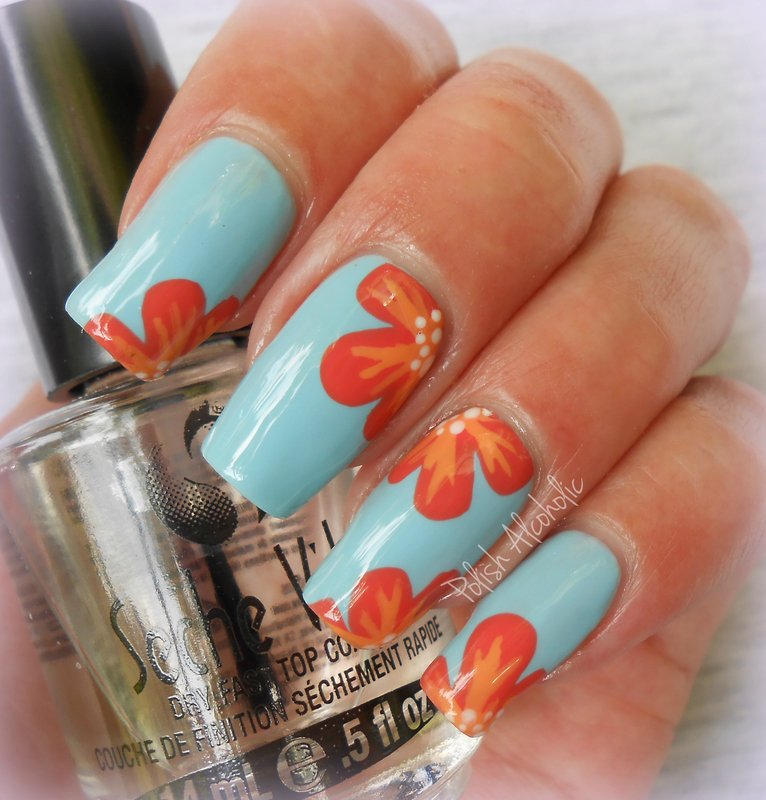 This entry was posted in Challenge and tagged floral, flower nail art, flower nails, summer nails by Polish Alcoholic. Bookmark the permalink. Oh this one is so pretty 😀 love it. Your flowers are beautiful! 🙂 I love all these colors together! WOW!! I wish my flowers coiuld come out like this!!! These are so pretty. Such a great colour combination too with the orangey tones against the light blue background. Thanks so much! I created the petals with the brush from the polish itself 😀 And then I used a small nail art brush to create the lighter details.